This beautiful bird is fresh out of the oven and ready to be eaten. Mouth watering yet? Ours too. That means the campus is closed. Ready. Set. Go home! 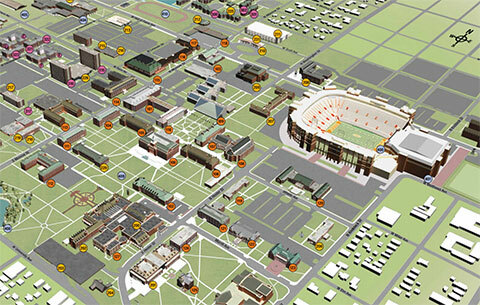 Thousands of #okstate students will make their commute home to spend Thanksgiving with their loved ones. Check out the Holiday Travel Guide blog for tips on getting out of town. Going home to loved ones can be exciting, but Thanksgiving means small talk with those relatives you only see a few times a year. You know what that means … endless questions about your personal life. So, how do you avoid questions like these? We suggest putting yourself in charge of an easy aspect of cooking, like dessert. A pie is easy, yet impressive. You can easily throw one together with the help of a few ingredients and a Youtube video. When someone tries to pry for the tenth time, instead divert the conversation and make sure they have a taste of that pie you are so proud of. Let’s be real. Not everyone has the time (or gas money) to go all the way home for Thanksgiving, especially when winter break is just around the corner. No worries! You can still have a festive, home-cooked meal, no matter where you are. Host a “Friendsgiving” celebration! Invite a few friends over that are staying in town too, and make it a potluck. That way every person is in charge of one dish, and it stays cheap for everyone. You can also enjoy a meal at the 34th Annual Stillwater Community Thanksgiving Lunch. The First United Methodist Church will be hosting a community celebration at the Family Life Center from 11:30 a.m. to 2:30 p.m. on Nov. 22. There is no charge to enjoy this delicious Thanksgiving meal! Whether you’re trekking home for the holidays, or hosting your own event, it’s important to remember the reason for this holiday! Don’t forget to remember what Thanksgiving is all about. Give someone an extra hug this season to remind them of how thankful you are for everything they do! PROTIP: Look for opportunities to give back in the weeks before and following Thanksgiving. Most shelters and food banks request additional donation items during the Holidays. You’ll be glad you did! Don’t know where to volunteer? Check out these local organizations! Don’t let the stuffing and mashed potatoes get the best of you. Remember your goals for the rest of the semester by writing reminders to yourself over the holiday break, or getting ahead on studying and homework, BEFORE you leave town! While you’re at it, check out points from the #AsktheExperts segment on Holiday Nutrition. Have a Happy Thanksgiving, Cowboys!